It looks like NRK's Slow TV is going for a jolly good hike in Norway this summer. Several of them. And in keeping with previous Slow TV shows, we can expect hours of it, too. 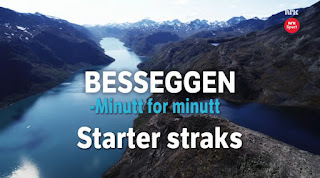 Last year we had Besseggen Minutt for Minutt, an eight hour live hike, which no doubt was some pre-production for this year's much longer walking-in-Norway project. Over four weeks in the summer there will be long televised hikes at Hardangervidda, in Jotunheimen, Vesterålen and Innre Troms. Norwegian adventurer Lars Monsen will be leading the way in some of Norway's spectacular landscape. Maybe think Bear Grylls going all Crocodile Dundee on Walkabout in Norwegian wilderness live on TV. Though it remains to be seen if we'll get the presenter picking out semi-digested apple from bear faeces to add to a campfire dish. Five days a week over the four weeks there will be live TV shows. In the evenings, it becomes summertime from places on the road, in the same way as in previous years. It will be Slow TV during the day and show with guests, artists and audiences in the summertime in new places every night. "I am looking forward to it! Nature experiences are about a good time. Transmitting mountain tours minute by minute is simply brilliant", says Lars Monsen. 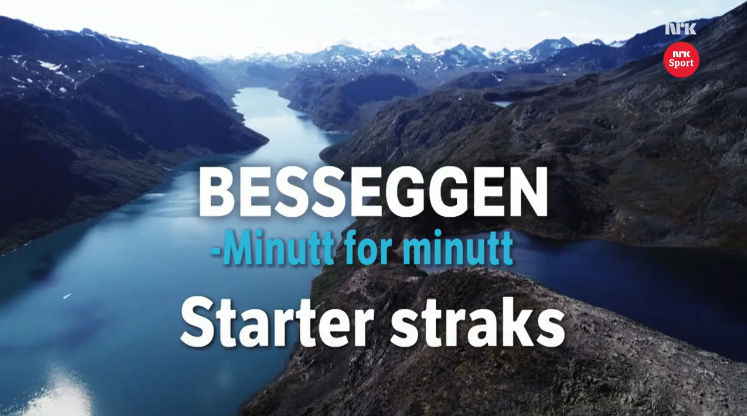 Once again NRK stretches Slow TV to something new, pushing broadcasting boundaries. The project manager is again Thomas Hellum, who has been at the centre of slow television, both by train and boat so far. And now by hiking. Exactly where it will go, will first be determined after NRK has "tested" and seen where coverage is and where live TV can be broadcast. Understating the task currently in preproduction, "To transmit directly, minute by minute, from mountain areas where barely mobile coverage is mildly challenging" points out Hellum. Lars Monsen is keen on the fact that very many may want to go hiking with him and NRK. Could it be we could have a long time of struggling to light a fire with damp kindling? "In a regular TV show, maybe we only show five seconds when I light up a fire. Here we can risk it takes an hour... People will understand more", Monsen says. Everything must be carried, too. While the previous Slow TV broadcasts have meant long journeys and far distances, everything becomes different when moving on foot and the equipment must be worn. "On the map, our travels are only a few small lines this summer. Nevertheless, we will showcase unique mountain and hiking areas. We Norwegians love the walking culture in the mountains, and we are looking forward to displaying the Norwegian Mountain World as live broadcast television", says NRK Project Manager Thomas Hellum. So, if wet kindling and televised walking in the rain doesn't dampen your spirits, brace yourselves for several weeks of Walking with Slow TV this summer. Many thanks to livnomes on Instagram for bringing this Slow TV project to The Slow TV Blog's attention.